As always my New Year doesn´t fall on 1st of January and 2019 didn´t fall at all. I think I am on the ride, taken by Great Wave from 2018 gliding into future. Many good things happened to me and my family in 2018, all healthy, shiny and happy and 2019 promises the same. As 2018 was nearing its ending two things marked its end. 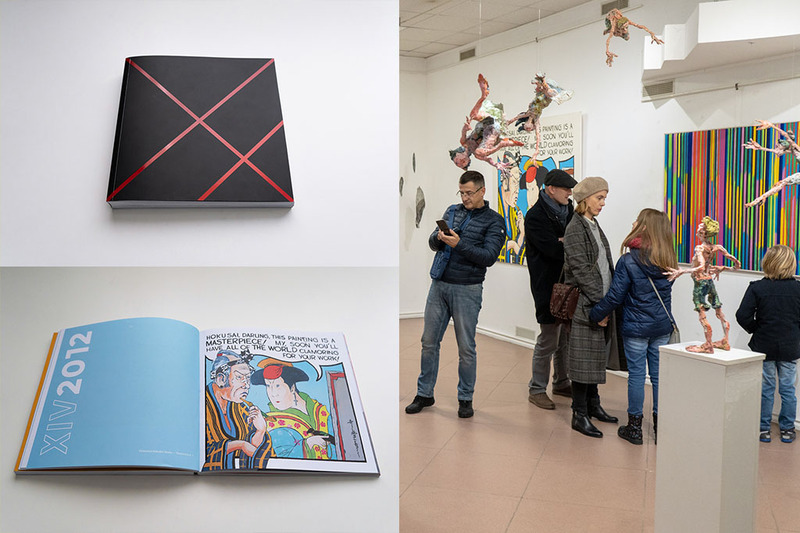 First, my work was part of 20 Years of City Gallery Bihać exhibition and monograph. They promoted new logo and visual identity done by my friend Adi Dizdarević. This group exhibition is very important to me because my first solo exhibition of paintings Massive Matrix Attack was in Bihać, a small exhibition that was part of the Coltan Festival in 2005. When I look back at the photos from 2005 all I can do is admire to long lasting true friendship. My second (large) solo exhibition and first presentation of 100 Views of Ukiyo-e was also in City Gallery Bihać in 2012. I have to mention that through this gallery I got involved in the International Art Colony Duga, Kulen Vakuf, for the Benefit of the Centre for Children without Parental Care “DUGA”. So looking back at their 20 years I could see 13 years of my life, how I personally and artistically developed. 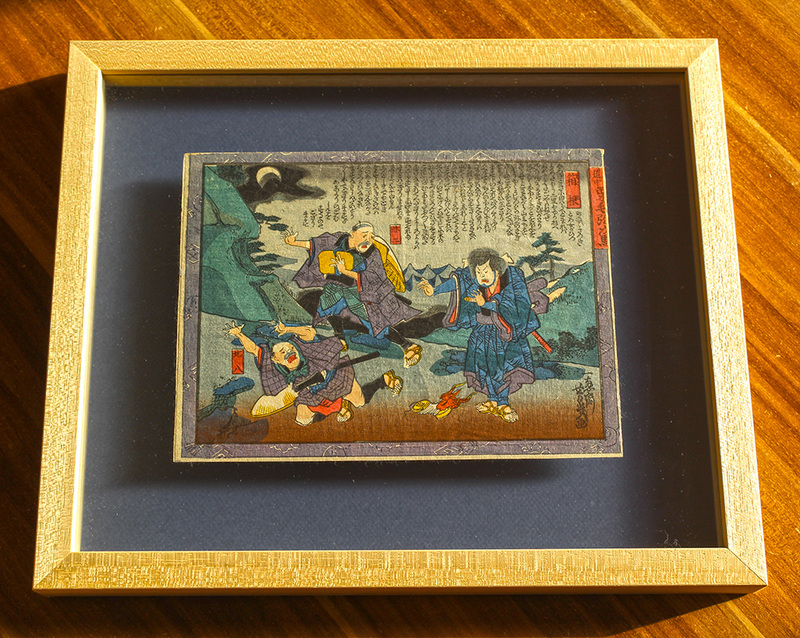 Secondly, I have received my first ukiyo-e print as a gift. It is Hakone, from the series Shank’s Mare on the Tokaido Road by Utagawa Yoshiiku. Compared with the one on Boston MFA website it is from the same series but my print appears to be from the first set (same block lines but more layers of color). Colors have been perfectly preserved, there is aligning mark on left-bottom corner, and there is a layer of shade of brown in bottom part, tonsure is blue instead of being dark gray like on MFA print, right side has been trimmed to the frame drawing and part of the title has been cut out. I got this print as a gift from a lovely Japanese lady who could see deeply inside my interest. To make example how this gift is important to me, you have to know that during my studying of Ukiyo-e I had to rely on digital copies and reproductions in books. Only when I traveled abroad, I had a chance to visit and observe ukiyo-e prints in museums and galleries for in my country no museum or gallery has them in their collection. And for the first time in my life that I held one when I was in Enpaku in 2016 (Tsubouchi Memorial Theatre Museum, Waseda University, Tokyo). So this gift was quite a shock for me. I never even consider owning one. I always consider them to belong to museums and dedicated galleries. I am still amazed that I can enjoy “original” ukiyo-e print at my home. January 2019 started with the Great Wave. I did La Mer by Jože Ciuha or the Great Wave of Slovenia on plexiglass and that was really special experience that led me to starting new series of 2.5D paintings. Krletke is series of paintings (kacho-e) that fallow kumiage-e/tatebanko tradition of Japanese diorama settings. On top of that I did very untraditional family portrait that is perfectly aligned with Ukiyo-e and American Pop Art tradition – Star Fruits Surf Rider. And I faced some memories of war in Pieta 2016 painting. Also, I am working on updating websites design and merging it with the webshop. That should be finished by March 16. So, WOW, happy New wave, it´s Old Wave, brand new!